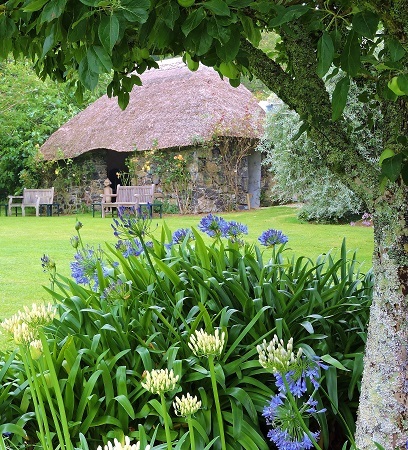 Many of the Cornish Gardens are best before the end of June. 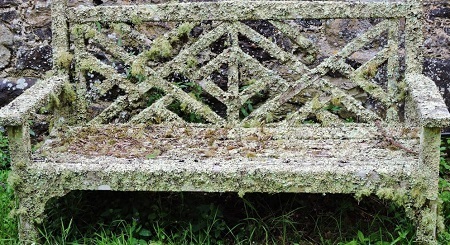 Bonython Garden near Helston on the Lizard is not one of them. 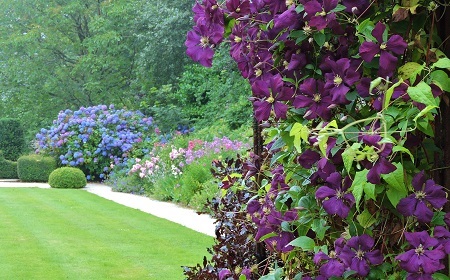 Susan Nathan a 'South African' began creating these gardens in 1999 shortly after buying the estate. 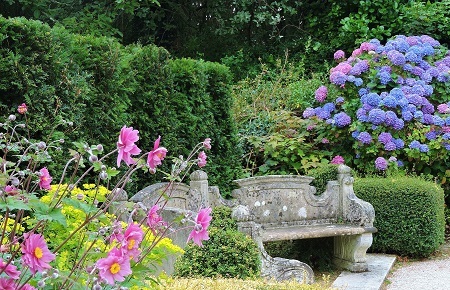 There is a beautiful walled garden in the 'English Style' divided into colourful areas prdeominantly in colour themes of blue,purple,yellow and white. The walled garden leads on to an orchard of ornamental fruit trees within square borders filled with stunning displays of agapanthus (July). From the orchard you have views of Lake Sue where extensive work has been carried out over recent years. The orchard leads on to a woodland walk bordered by a stream edged with South African plantings. Further on you will find tree ferns which give a taste of New Zealand. 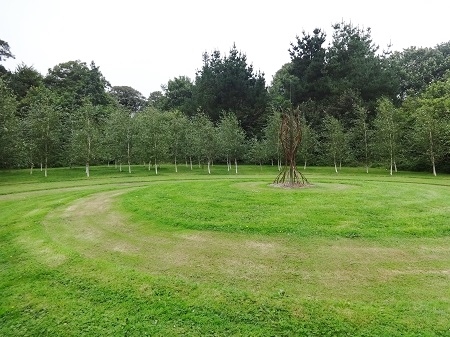 Back towards the house is the circular silver birch wood where over 150 trees have been planted. This is a special garden with clever original designs and plantings. It is surely one for your diary. NOTE - Several Rosamund Pilcher novels were filmed here. 2019 - Bonython Estate Gardens see website for more information on opening times. Groups and coaches are welcome by prior arrangement (which can include a guided tour). Credit Cards are not accepted. 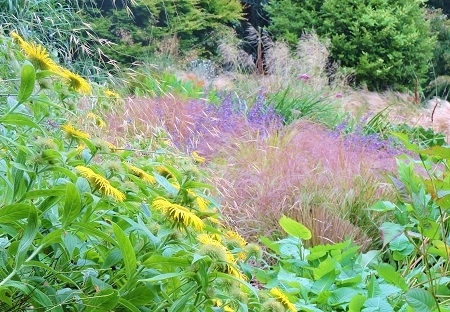 Please check Garden's website before visiting. If you want to take a break, why not stay in one of our recommended hotels. Each hotel has genuine guest reviews enabling you to book from anywhere in the world in total confidence. Not only do we feature hotels near the garden, we also feature hotels worldwide and at all major airports. Special prices up to 70% off standard rates as well as hundreds of exclusive deals. Look now for hotels near to Bonython Garden - click here.